Cordell Boss has long been recognized as one of the premier softball pitchers in Wayne County. Softball records being somewhat elusive, the true measure of Boss; accomplishments will never be known. It is known, however, that from 1963 until 1977, he was one of the most successful pitchers in Ohio fastpitch softball. During those years, he was named as Most Valuable Player or Most Valuable Pitcher of numerous tournaments at all levels, local, district, regional and state. Boss started pitching for Tiny’s Tigers in 1963 and pitched his team to the Labor Day championship at Orr Park, a feat he went on to repeat several times with various other teams in his career. He spent two years pitching for Orr Parks and anther four with Shearer Implements. While pitching for the latter team in a tournament in Cleveland, Boss tossed two no-hitters, one of them a perfect game. 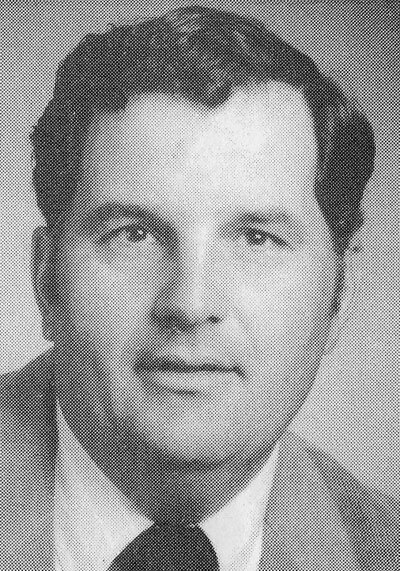 In 1971, Boss started a six year association with the Kidron Merchants where he compiled a record of 136 victories against only 53 losses. His ERA’S ranged from a low of 1.19 to a high of 1.80. The high point of his stay at Kidron was a no-hitter for the Ohio State Championship in 1973. He also garnered a regional win over Flint, Michigan that year. Cordell was named to the all-time all-star team of the Kidron Merchants. Following his success at Kidron, Boss capped his career with an outstanding one year performance for Mt. Eaton Quality Block in 1977. He was an ironman for the Mt. Eaton crew, compiling a record of 32 wins and 8 losses with an ERA of 1.42 and getting 194 strikeouts in 271 innings. His pitching enabled the team to win the district, state, and East Central Regional crowns. Boss’ totals for his last seven seasons showed a record of 168 wins against only 61 defeats. He had and overall ERA of 1.37 and fanned 1,180 batters in 1,400 innings of pitching. Cordell called it quits that season except for selective appearances. He has operated Boss Farms north of Kidron since then.